These original essays debate two ways of theorizing social life. One way is the integrative or holistic model of thought typified in the writings of Confucius. The other, the revolutionary tradition, is suspicious of holism and harmony as principles of social thought because harmony is seen as something that can genuinely occur only when a society has rectified deeply ingrained injustice. 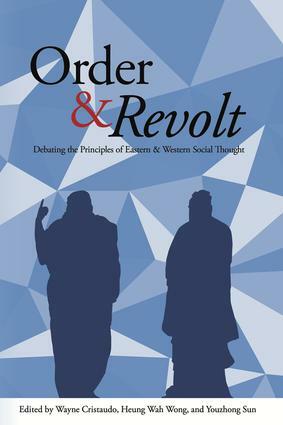 This volume evaluates the alternative priorities of order and revolt, harmony and spontaneity, in social life. Wayne Cristaudo, currently at Charles Darwin University, Australia, is the author and editor of several books and journal issues in social and political philosophy. Heung Wah Wong is an associate professor teaching creative arts and Japanese studies at the University of Hong Kong.